The Zephyr ZL is an Ultra Lightweight racket in an Aero Delta TFT enhanced frame affixed to an Xtra Slim shaft that shifts the flex point closer to the frame, creating flexible yet head heavy racket that delivers greater smashing power. Mizuno Zephyr ZL having a Flexible Flex, Head Heavy and 6U weight, which makes this lightweight and still powerful. You will love this racket which suits for singles and doubles both. Titanium is precisely infused onto the isometric portion of the frame to provide integral support without adding any weight to the frame. 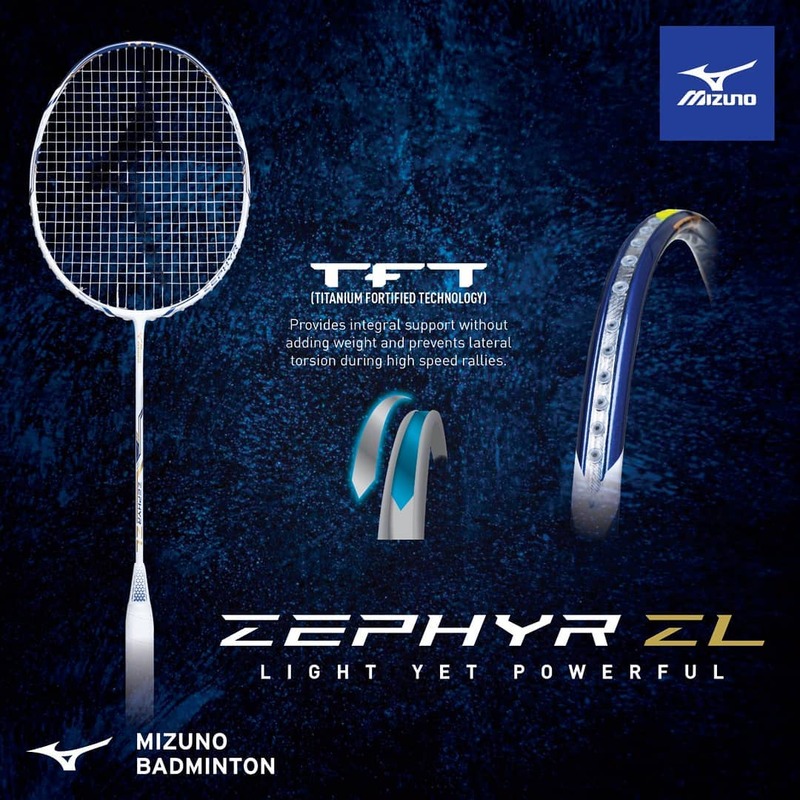 This structural enhancement prevents lateral torsion during high-speed rallies and makes the Mizuno Zephyr ZL a powerful racket. Engineered with the structurally strong outlines of an exquisite gem shape, the Aero Delta frame reduces drag and transfers more speed & power into the shots.